A colleague and I were recently discussing a lesson that he did with his Grade 10 Applied History students. He intentionally incorporated images along with text information, hoping that doing so would make the information more memorable for students. Many teachers already use anchor charts in their classrooms to provide students with a constant visual reminder of key concepts. These charts might be terms, a diagram of a process or a collection of symbols. We started to discuss the idea of a daily (or lesson by lesson) anchor image to help students remember previous lessons and to get them thinking more deeply about the content. Like any other new habit, a teacher would have to make a pretty firm commitment to this strategy over the course of a month in order for it to stick. My suspicion is that it could be a somewhat tedious practice the first time through the course, but then you would have the images saved for later use. So how might the anchor images be used? One scenario involves the teacher revealing the image at the beginning of the class before any content is addressed. Students would be given some time to examine the image (either a printed copy or a projected image) and make observations, inferences about it, then perhaps some question generation. You might tell them that this image was selected to represent the day’s lesson and you could tell them that it’s up to them to determine why you selected it (and even for them to judge your choice of image). I might have students record 3 observations and 3 inferences by referring directly to aspects of the image. Students could pair up and share their ideas with each other then we could discuss examples as a class. Students could then be challenged to record 3 questions that they have based on the image. -Does the image generate interest? -Does the image show at least one strong connection to an important aspect of the topic? Students could participate in a u-shaped discussion to share their opinions about my image choice. They would have to support their thinking by referring to what they learned during the lesson about Vimy Ridge and by referring directly to different aspects of the image. I might then challenge them to find another image for homework that was just as good as my choice, if not better, then have them either bring them in or share them in some other way (e.g. Twitter, website upload, shared online folder). At the end of class, I would post my image on our bulletin board instead of filing it away. Why would I do this? When students entered the room the next day (or week), they would be able to see the image and it would help to remind them of our lesson and discussion. People remember images better than they do text. In the conversation with my colleague, I put forth the idea that the images could be used to create a table of contents or timeline of the unit that could also be used for review later on. 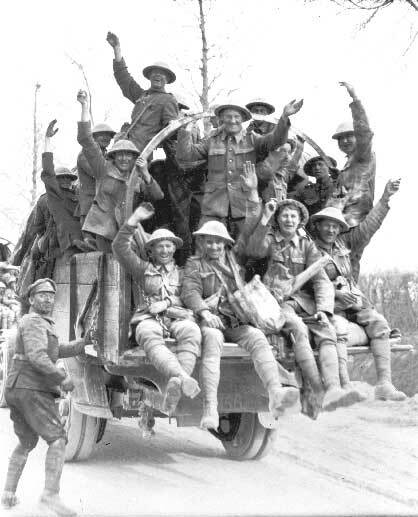 The day after my Vimy lesson, I might use the image as an entry card type of activity. It might simply be me asking “What aspects of Vimy Ridge does this image help you remember?” If students found other images, I imagine there could be some lively debate about which one deserves to hang on the board. Perhaps there would be a small collection of images, each capable of helping students recall information that they learned. I think the bulletin board would give students a very good visual reminder of our unit of study and I could take a picture of it (or students could) for later reference.